Helping people meet life’s challenges by providing the skills, support, and hope needed for effective, fulfilling lives. From time to time, we all struggle. Events can happen that turn our lives upside down … the trauma of a divorce, changing jobs, the death of a spouse, losing a job, communicating with children … any number of things can make your life feel miserable and out of control. At Cornerstone, we listen to you. And then we help you find a way through that struggle, a way to peace of mind and the happiness you deserve. At Cornerstone, help is effective, affordable, and confidential. We are highly trained, compassionate professionals who are ready to help you. "I have experienced firsthand the good work that Cornerstone does for children and families, especially adoptive families like ours. That’s why I’m here." "It’s helping me a lot since I am a first time mom." "I appreciate Fist Steps just because I learn new things to be a better parent toward my child and this program helps my child grow and learn. Thank you." "I feel that I am a more confident parent. I have been in the program for 3 years and I was very unsure about how I was going to do as a mom; now I think I’m a great mom!" "Elena always greeted us with a smile and was helpful in making appointment adjustments and checking in." Our counselors help people of all ages, from all walks of life. At Cornerstone, you will find a calm, safe place where you can talk things over, think things through, and get the support you need to make the changes you want to make. Sometimes talking to someone is just not enough. At Cornerstone, getting the medical help you need when you need it is as simple as walking down the hall. Cornerstone offers psychiatric assessment and medication management all in the same calm, safe, confidential environment. Cornerstone provides supportive services to specific groups of people: first time mothers, children having problems in school, children at risk with the juvenile justice system, families of adopted children, relative caregivers who need to obtain legal guardianship of children, to name a few. No matter who you are, no matter what your place in life, Cornerstone helps individuals, families, couples, and children. Because, from time to time, we all struggle in our lives. Events can happen that create havoc … the trauma of a divorce, losing a job, the death of a spouse, communicating with children, changing jobs … any number of things can occur that can make your life feel miserable and out of control. First, we listen to you. We help you identify what you want to change or improve. One of our counselors, caseworkers, or our psychiatric nurse practitioner is here to help you find a solution and learn the skills you may need to cope with your life’s challenges. We know you want results, and we know that great things happen to people who believe in themselves. We’re here to help you reach your goals and be better! Cornerstone is here to help because we believe you have the right to be happy. And we believe that when you feel happy, you do better at school, at home, at work, in life! And when you do better, we all do better! It’s about building a safe, happy, productive community. Contact us at 217-222-8254 to schedule an appointment. We are counselors and therapists who help people from all walks of life meet the challenges that life invariably brings. We are a team of professionals who listen to your concerns and provide the skills, support and hope you need to live an effective and fulfilling life. Cornerstone is grateful for the generous support of friends that enable us to provide services to individuals and families facing life challenges. 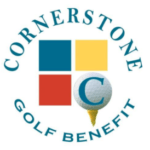 There are several ways you can give to Cornerstone through your time and donations.